I will show you how to create a quick and easy recognition strategy with a basic structure and outline, along with some questions to ask yourself as a guide. Are you ready? NOTE: This post will be long but I write it to help guide you on how to go step-by-step and create a written recognition strategy without a lot of help from other people. Probably the best thing you can do first in getting ready with creating your simple recognition strategy is to do a SWOT Analysis of the recommended Three Types of Recognition. 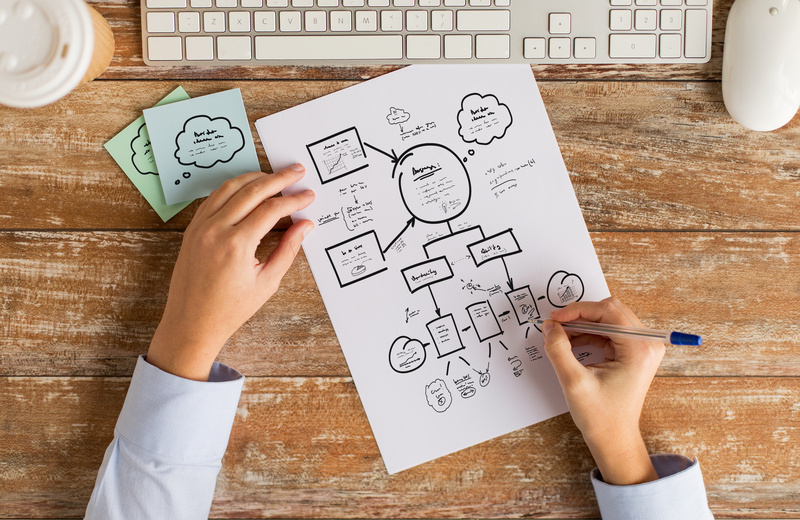 A SWOT Analysis is a strategic planning technique you can use to identify strengths, weaknesses, opportunities, and threats. Businesses use this tool to do a competitive business analysis or for project planning. You will use it to do an internal analysis of how well the three types of recognition are functioning within your organization. Recognition Professionals International (RPI) refers to a Three-Dimensional Model or pyramid with three levels of recognition. This comprises Day-to-Day Recognition, Informal Recognition, and Formal Recognition. RPI refers to the foundational level of the pyramid as Day-to-Day Recognition. I like to call this Everyday Recognition. RPI defines Day-to-Day recognition to be frequent and ongoing. Day-to-Day recognition is when you recognize someone for living the corporate values or showing outstanding customer service. It is a multi-directional action and everyone can give it and receive it. Everyday recognition is the simple thanks and other forms of verbally expressed recognition. You can handwrite a thank-you note, send an email acknowledgement, give a pat on the back, or present a small token of appreciation. Everyday Recognition is meant for everyone and it can happen on a daily or weekly basis. 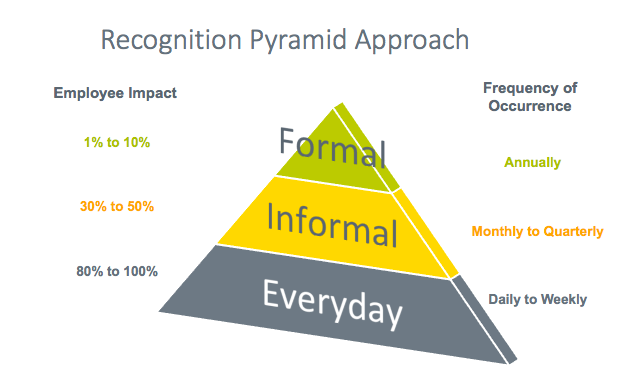 Moving up to the next level of the pyramid is Informal Recognition. Informal recognition is given to individuals or teams for achieving goals, completing projects, or reaching certain milestones. You’ll find this recognition is not as formal as Formal Recognition but it can have structure requiring criteria. Frequency wise it might happen on a monthly or quarterly basis and impact around thirty to fifty percent of your employees. It is more at the departmental or team level. You’ll find Informal Recognition in the employee of the month programs or quarterly sales and performance results. Formal Recognition is at the pinnacle of the recognition pyramid. It is your best-of-the best recognition award and is earned (the performance or achievement places one individual at the top) or it is a nominated award (a nominator submits a nomination form recommending a nominee and is adjudicated against a set of criteria and a winner is selected). The criteria for Formal Recognition can include living the corporate values to excellence awards for major projects or accomplishments performed by individuals and teams. There is usually an awards event and these often occur on an annual basis. Formal recognition is an organization-wide recognition process. Only a small percentage of employees, in the one to five percent range receive Formal Recognition awards. Now it’s time to take an assessment of your current state with the three types of recognition in your organization. I list below some guiding questions for you to think about and answer. Write your responses to each question and you can review afterward. What type of recognition does your company do well? What unique recognition knowledge, programs, practices, experience, or resources do you have? What advantages or successes around giving recognition do you have? What do other people say the company does well with recognition giving? What recognition resources do you have available to you? What is your greatest achievement with recognition, so far? What current recognition practices and programs do you think needs the most improvement? What recognition knowledge, programs, practices, experience, or resources are you lacking? What disadvantages around giving recognition do you have? What do other people say we don’t do well with recognition giving? In what areas of recognition do you need more knowledge and training? What employee complaints have you received about recognition or were identified through engagement surveys or focus groups? How can you turn your recognition strengths into opportunities? How can you turn your recognition weaknesses into opportunities? Is there a specific recognition need in your organization that no one is doing anything about? What could you do today with recognition practices and programs that are still not being done? How is employee recognition changing according to industry trends and best practices? How can you take advantage of those changes? Which type of recognition improvement could you make the biggest impact on? What obstacles or barriers to employee recognition do you face right now? Could any of your weaknesses prevent you from achieving your recognition plans and goals? Who and/or what might cause you problems in the future with employee recognition? How? (Be specific). Are there any strategic initiatives, financial challenges, operational issues, leadership changes, standards, policies, and/or legislation changing that might negatively impact you? Are you competing with other departmental priorities or strategic initiatives for funding and services for recognition? What changes in your company, or with areas like technology, could threaten your success? You can use your answers to all of these questions in the SWOT analysis to figure out what you can do, what you need to do, those areas you need to focus on improving, and skills and knowledge you might need to get the job done properly, and then create a plan of action for one year. This creates your big-picture gap analysis. Next, comes declaring what you believe recognition is and should be for the organization. Oh sure, in an ideal world it is nice to get several people in a room collaborating on writing a mission statement or purpose statement. For a quick and dirty, get it done job, you will do this all by yourself. A mission or purpose statement for recognition is a declaration of what you intend recognition to be known for in your organization. It is directional by having a summary of the goals and values steering employee recognition practices and programs for the company. It can be aspirational and give a future state view. It should give any reader of your recognition strategy a clear and concrete understanding of what recognition is, and what it means, to your company. Use these guiding questions to generate a sentence or two that will become your purpose or mission statement. What do you think the purpose for giving recognition should be for your organization? Why are we expecting everyone to give recognition to our employees? Why is giving employee recognition so important for the company? How will our customers benefit from us recognizing our employees? You need an over-riding goal to steer your actions and enlist the help of others for improving employee recognition at your organization. You must draw upon the results from your SWOT analysis. What was clear to you as the most important area to focus on if employee recognition practices and/or programs are to improve in their effectiveness? Everything you work on should help you achieve this one strategic goal. It is a mandate, and, like the catchphrase of the popular Mission Impossible TV shows and movies, it’s the “your mission, should you decide to accept” statement. Last, is creating a plan of action for improving employee recognition. 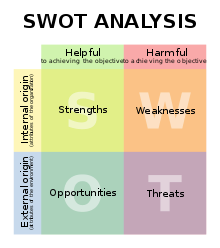 What areas need the most improvement from looking at your SWOT analysis? From an 80/20-rule perspective, what are the one or two areas that if you worked on could make the biggest impact on employee recognition at your company? Even if the list you generate is just a “to-do” list for you to work on by yourself, what goals can you realistically work on? I recommend coming up with three to five areas to focus on. Now, create the concrete and measurable goals for each area you want to achieve. You may well have other goals under each focus area but this gives you an idea of what one goal could be. By working through each of these four steps you will have a written recognition strategy you can work with. It will give you your marching orders to work through. The document will be useful in communicating the cause of recognition with senior and departmental leaders. And, you did it all by yourself. Recognition Reflection: How would a written recognition strategy be beneficial to you and for your company?